In 2015 a study was conducted to gather information on the NES miHealth device, how it is used, how effective it is and which conditions can benefit the most from treatment, amongst other investigations. A lot of people aren’t familiar with a miHealth device. 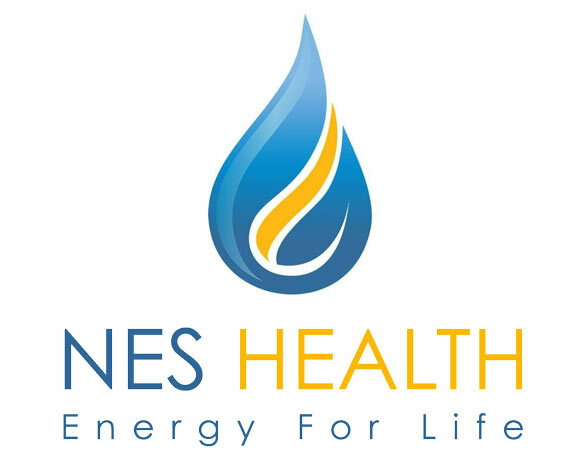 The NES miHealth is a portable hand-held wellness device designed to be used as a complement to the NES Health range of therapeutic products. The miHealth contains three different therapeutic technologies: PEMF (pulsed electromagnetic field therapy), bio-electrostimulation and NES informational field correctors. A few of the interesting findings are listed below so you can learn a little more about how people use NES and the miHealth device and how it can support you. 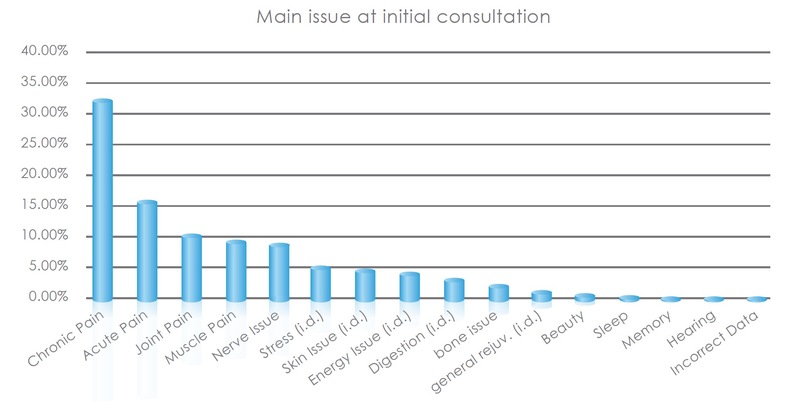 From the data, we can see that the condition that showed the greatest response was ‘Sports injuries’ followed by ‘Muscles.’ As ‘Chronic pain’ was the most common symptom, it is interesting that it was not the condition that responded best. This may be because the device is more effective on acute conditions. 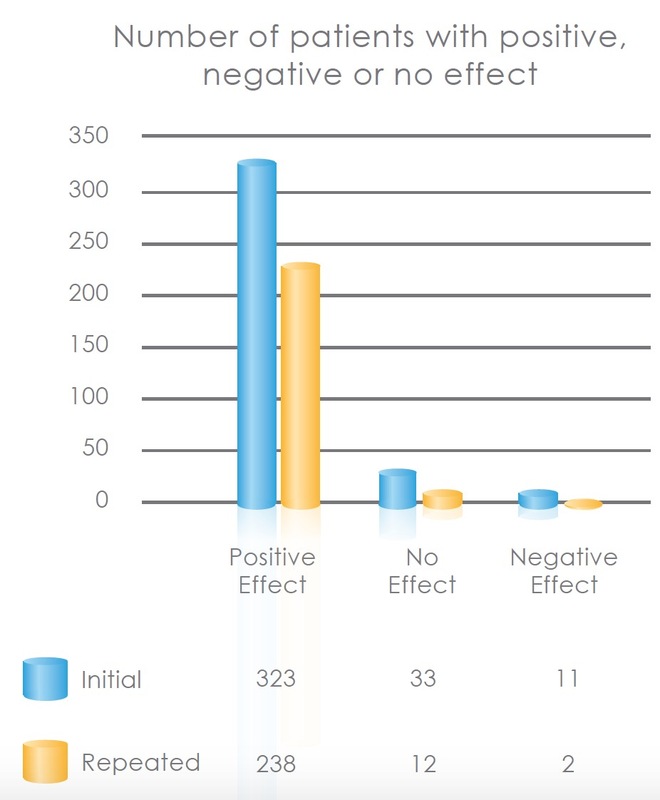 An overwhelmingly large portion of the survey participants reported positive effects after treatment. 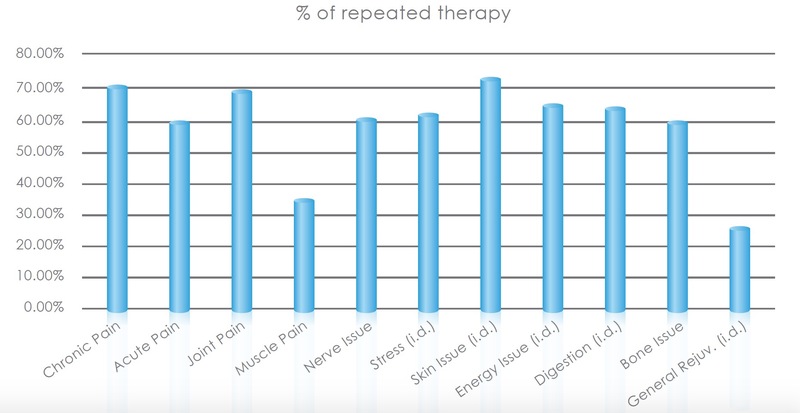 However, regarding the average pain relief/issue improvement, best results can be seen for acute and ‘Chronic pain’ followed by ‘Joint’ issues with promising trends for muscle pain, energy issue, stress and general rejuvenation. A higher number of patients with longer-lasting issues (chronic pain, joint pain) repeated the treatment than patients suffering from recent pain/issues. Positive effects are felt consistently after both the first appointment and repeated sessions. This is in stark contrast to negative or no effects which sit at very few patients for both categories.